National Grid Electric is the company that services upstate New York by providing power to many residents. They have also instituted a second refrigerator freezer recycling turn in program. What they are trying to do is encourage their customers to recycle a second refrigerator or freezer which can cost those customers upwards of $150 a year to operate. If a customer decides to recycle this appliance they could earn a $30 rebate. However, there are some strict conditions to this program which might not make it practical for a lot of people. First of all, this unit has to be a secondary unit not the primary refrigerator. And it can only be between 10 and 30 cubic feet. Also there needs to be that accessible and clear path for the removal of this item otherwise it will be ignored. This brings up many questions. What if you only have one refrigerator but still want to get rid of that? Suppose you have other appliances that need to be recycled? And can you really hope to replace an old freezer for $30? While there are obvious good intentions behind this program you might need to be a bit more proactive when it comes to your own appliance disposal. With signs that the economy is bouncing back consumer confidence is on the rise. Basically that means that folks are more willing to spend some of their savings on practical items. If you have been putting off buying that new stove or dishwasher perhaps now is the time to take the plunge and make that investment. 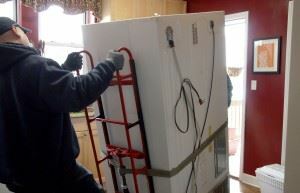 There comes a point in the life of every appliance where it is more cost-effective to replace it then pay for repairs. When you go shopping for new appliances you’ll be excited to discover all the many great innovations that have been added into these machines thanks to advancements in technology. Most of today’s major kitchen appliances incorporate some form of “smart” technology. What this means is that your dishwasher, washing machine and dryer will all have touchpad features that allow you to designate the type of washing load you’re going to use. This helps on water consumption and in turn will lower your monthly bills. There are also special time features which allow you to designate when you want to start a particular cleaning cycle. You might find that using these types of appliances in off-peak hours is another way to save on your monthly energy bill. All of those features are for the new appliances but what about the old ones? The best way to get rid of them is to contact a team of professional junk haulers in Albany like Junk King Capital District who can show up at a scheduled appointment to take away those bulky items. A benefit of bringing in outside professionals for this type of work is they’ll also be able to help you get rid of any other kind of junk you might be holding onto. What this all means is that you can say goodbye to the old refrigerator and the old sofa in one trip! For the best in Albany Appliance Disposal, or any Capital District Hauling, call 1-888-888-JUNK or book a free on site estimate online. This entry was posted in Albany Appliance Disposal, Albany Junk Hauling, Albany Junk Removal, Junk King Capital District, Troy Junk Removal and tagged Albany Appliance Disposal, Albany Junk Removal, Get rid of old appliances, NY appliance disposal on March 30, 2012 by Todd Porter. Last updated August 1, 2017 . Even though the real estate market has lately been described as a wild roller coaster ride that fact remains that real estate investing is still a shrewd choice for anyone looking to improve their financial portfolio. The key is making the right choice. In other words, you don’t want to over extend yourself by buying a property that you can’t afford. There are many folks who are taking advantage of the current trends in real estate pricing by becoming proactive buyers. When prices drop it easy to get into the market and find a home that can be of great value either as a flipped property or a rental. Nowhere is this truer than with the foreclosed homes available for purchase. Albany is no different than any other city across the country in terms of foreclosed homes. But for every foreclosed home there is a silver lining of an opportunity. If you are entering into the real estate investment arena then you definitely want to consider foreclosed homes as a potential purchase. Before you embark on this type of investment journey it will be a big help to get preapproved for your own mortgage loan. That way you’ll know exactly how high you could go in terms of pricing on a foreclosed home. The next important step you need to take is to study the sale prices of comparable homes in the neighborhood that you plan on shopping in. This will give you a sense of the going rate in terms of what you should be looking for. With regard to finding a foreclosed home in Albany there are many realtors who specialize in these types of properties. 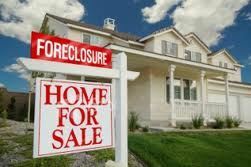 You can even contact local bank branches to find out if they are holding any auctions of foreclosed properties. You might see the term REO pop up a lot as you search the listings. This means real estate owned which is another fancy way of saying foreclosed property. Once you get into the actual touring of potential homes you might find that the appearance of these foreclosed properties leaves a lot to be desired. As a potential buyer you are essentially going to be purchasing these foreclosed homes “as is.” That means is not to be a lot of wiggle room with regard to changing the price like you would with a traditional home sale. What you need to do is look beyond any piles of junk that might have been left behind and consider all the possibilities. Rest assured that you can always call upon the services of a professional Albany Junk Hauling team like Junk King to accomplish a foreclosure clean out. These pro junk haulers will be experienced in removing any kind of debris from a home. It will be easy as the new owner to tell Junk King to take it all away. Once that junk is cleared out you’ll be able to bring in new carpeting and paint it will be as if the mess was never there to begin with! This entry was posted in Albany Junk Hauling, Albany Junk Removal, Junk King Capital District, REO Trash Out and tagged Albany Foreclosure Cleanout, Albany Junk Removal, Clean Up Foreclosed Property, Junk King Capital District, REO Cleanout on March 27, 2012 by Todd Porter. Last updated August 1, 2017 .